Kingsman: The Secret Service is a 2014 spy film based on the comic book The Secret Service. It follows the recruitment and training of a potential secret agent into a secret spy organisation. A sequel titled Kingsman: The Golden Circle is scheduled for a 16 June 2017 release. 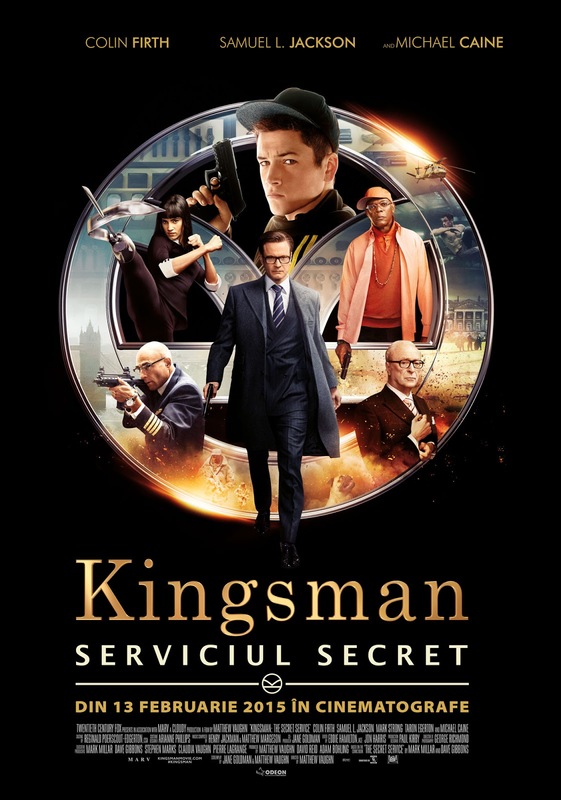 Two fonts have been used for the film title in the poster: the “Kingsman” part is very similar to Century Schoolbook Roman by Morris Fuller Benton, and the “The Secret Service” part is set in Lucida Sans Demi by Charles Bigelow and Kris Holmes.